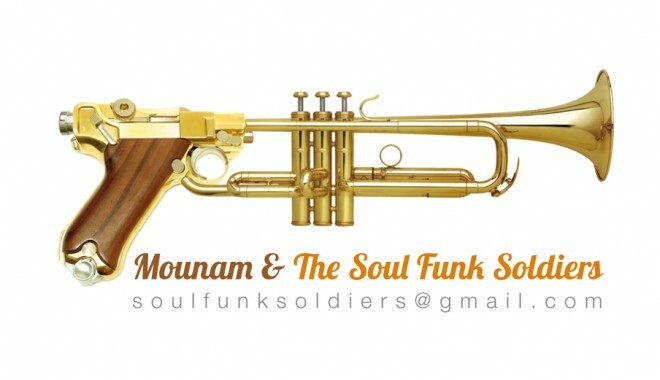 This well-armed group creates its own compositions in line with the great Soul artists. 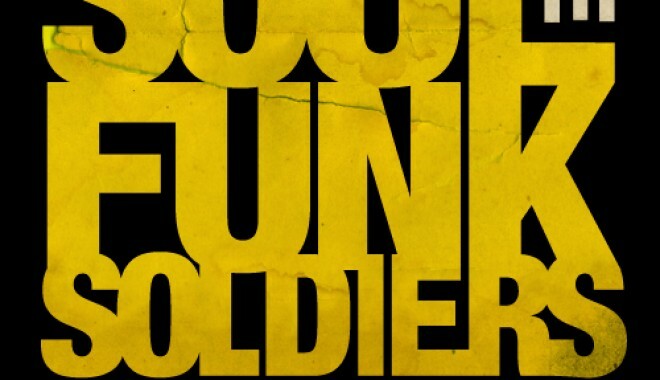 The Soldiers position themselves as ambassadors of Otis Redding and Aretha Franklin's spirit and energy. 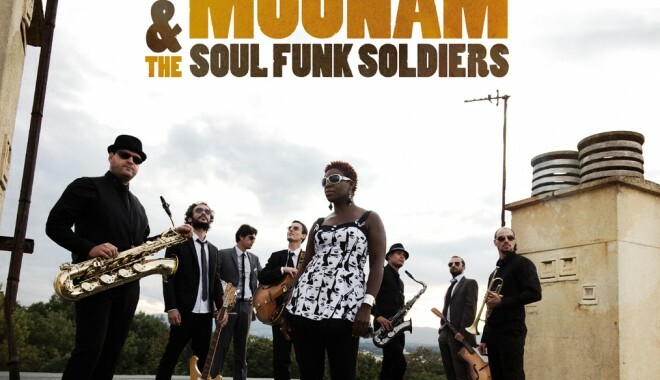 Since the arrival of Gospel, Soul Motown and Jazz singer Mounam, the Soldiers made a name for themselves and perform today in Jazz Festivals as well as in general audience shows. With the brass' inch-perfect choreographies, the 2 guitarists' conniving exchanges or the comforting serenity of the rhythm section, Mounam takes the audience to a musical journey in the 70's New York Clubs. A true revival of those famous Motown nights. Mounam (means "my child" in one of Cameroon's dialects Douala) has been in the musical sphere for 20 years, singing Soul, Jazz, Funk, Reggae and Blues covers. Self-taught woman, she developped an astonishing vocal register through the diversity of her repertory. Since 2003, she performed in Europe and Japan with Reggae Soul band The Dynamics and other international projects. 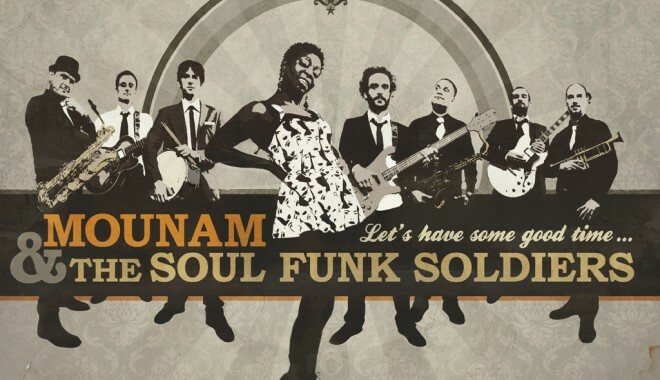 She met the Soul Funk Soldiers in 2010 and a true alchemy happened.